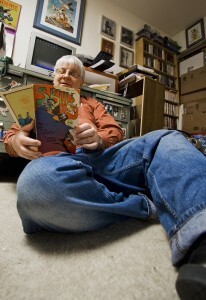 Scott Cupp is a writer from San Antonio who has been associated with the science fiction community for more than 40 years. He has been a regular reviewer at Mystery Scene magazine, where he reviewed western and horror novels, and at Missions Unknown blog, where he did columns on Forgotten Books and Forgotten Films. His most recent fiction, “Monikins of the Montgolfiers,” appeared in July 2015 in Story Emporium magazine.